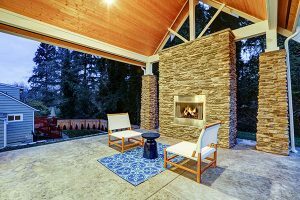 Having a chimney and fireplace comes with a level of responsibility that many homeowners tend to put off until it’s absolutely necessary. This isn’t a good strategy to follow because you could end up with more problems costing you more money. Chimney cleaning is extremely important to maintaining a safe fireplace and home. How do you know the company you choose is the right one? Picking the best chimney cleaning service is crucial on your path to proper chimney care. There are a lot of companies out there that claim to be the best and offer premium service, but you need to be careful who you believe. 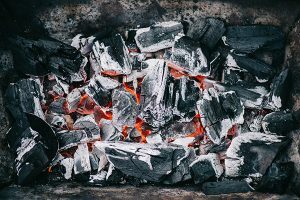 It doesn’t take a whole lot to start a chimney sweeping service so you need to know what to look for when choosing a company. 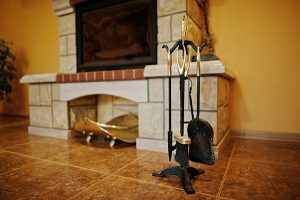 As Chicagoland’s chimney experts, we know a thing or two about choosing the right chimney cleaning service and we’ll go over everything you need to know below. One of the first things you should look for when choosing the best chimney cleaning service is if the company is certified and insured. There are many phonies out there that claim to have a bunch of accolades and certifications but it’s all fluff. Look for a company that’s certified by the Chimney Safety Institute of America (CSIA). This way, you know you’re getting a trusted professional to sweep your chimney and the job will be done properly. The best chimney cleaning services are also fully insured and bonded with employees that are certified and trained as well. Another important quality to consider when selecting a chimney cleaning service is experience. A good measure to take when hiring a chimney service company is to make sure they’ve been around for at least 15 years. Companies who’ve been around for that long are clearly well established and have earned trust from customers. Early Times, for example, has been serving the Chicagoland area for over 30 years and dedicates itself to making your home safer and cleaner. Experience and expertise go hand in hand so when a company that shows up out of nowhere and claims that they have experts, you should do more research on them to see if they’re a legitimate option. In today’s world, having a quality website that makes everything clear to the customer is one of the most important factors to consider when choosing a company. People are on their phones more than ever and want their online experience to be as seamless as possible. If you’re looking for a chimney cleaning service and the website is hard to use or it takes you forever to find what you’re looking for, that shouldn’t be a company you should trust. Another good way to make sure you’re going with the best chimney cleaning service is to look for companies that provide more than just chimney sweeping. 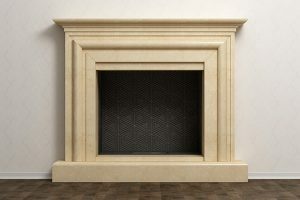 When a company can take on any chimney and fireplace project, you know that you’re dealing with experienced professionals who have been working on chimneys for many years. Companies like Early Times specialize in all things chimney from cleaning to full on chimney repair, offering you a one stop solution to all your chimney needs. The best chimney cleaning services are able to keep customers coming back to them. Since a lot of chimney work is routine-based, such as sweeping and inspections, you want to find a company that can consistently provide excellent service. Plus, it’s better to have a chimney service company you can trust rather than having to try and find a new company for every project. Convenience is key. The best chimney cleaning services will thoroughly inspect your chimney before making any assumptions about what might be wrong with your chimney. If you get a chimney cleaning and afterwards they try to say you need a bunch of work done but they hardly looked, that’s a red flag. When you choose Early Times for your chimney cleaning service, we’ll perform an inspection as before suggesting any other repairs. If anything else, you should trust what previous customers have to say about a company. The best chimney cleaning service will have their reviews readily available to anyone who visits their site. If there are no reviews, that should raise some eyebrows right away. Another way to find out about a company is to ask around. Talk to your family, friends or neighbors and see who they recommend. When dealing with your chimney cleaning service, make sure you’re comfortable talking to and being around them. If the customer service is rude, that’s not really a company you want to be dealing with. With the safety of your home and family at stake, you want to know that the chimney company you choose truly cares about you and your home. You want to be able to rely on the people taking care of your chimney needs to get the job done right, in a timely manner and provide you with excellent service all around. Choosing the best chimney cleaning service begins and ends with Early Times. We’ve been serving the Chicagoland area for over 30 years with the best chimney cleaning and repair services. We’ve dedicated ourselves to making sure your home is safer and cleaner after we’ve completed every project. Get started on your next chimney cleaning or other chimney related service by getting a free quote online.